Prairie View A&M University is dedicated to excellence in teaching, research and service. It is committed to achieving relevance in each component of its mission by addressing issues and proposing solutions through programs and services designed to respond to the needs and aspirations of individuals, families, organizations, agencies, schools, and communities--both rural and urban. 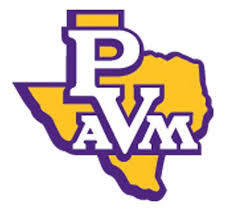 Prairie View A&M University is a state-assisted institution by legislative designation, serving a diverse ethnic and socioeconomic population, and a land-grant institution by federal statute.Having been designated by the Texas constitution as one of the three "institutions of the first class" (1984), the University is committed to preparing undergraduates in a range of careers including but not limited to engineering, computer science, natural sciences, architecture, business, technology, criminal justice, the humanities, education, agricultural sciences, nursing, mathematics, and the social sciences. It is committed to advanced education through the master's degree in education, engineering, natural sciences, nursing, selected social sciences, agriculture, business, and human sciences. It is committed to expanding its advanced educational offerings to include multiple doctoral programs.Though the University's service area has generally extended throughout Texas and the world, the University's target service area for offering undergraduate and graduate programs of study includes the Texas Gulf Coast Region; the rapidly growing residential and commercial area known as the Northwest Houston Corridor; and urban Texas centers likely to benefit from Prairie View A&M University's specialized programs and initiatives in nursing, juvenile justice, architecture, education, and social work.The University's public service programs offered primarily through the Cooperative Extension Program target the State of Texas, both rural and urban counties. The University's research foci include extending knowledge in all disciplines offered and incorporating research-based experiences in both undergraduate and graduate students' academic development. FM 1098 Road & University Drive.